Friday again! This week actually went by pretty quickly, which I am glad of. I've been super tired lately and waking up at 5:30 wasn't helping the situation. Thankfully I was able to stay home yesterday too so I caught up on a little more sleep since I was able to sleep until 9. But now I can have a nice, relaxing weekend! So far no plans, I'll probably catch up on all the old movies I have DVR-ed. Oooh, I love your Monday look - you look so tall! I hope you have a really relaxing weekend - I get up at 5:30 am too so I am really looking forward to catching up on some sleep! Love both your looks this week (oh my velvet blazers, so under-worn this winter) and I'm glad you now have some plans other than movie watching for this weekend! Your teal shoes are fabulous! That Tuesday look is my favourite. I can't get over how fun that A. Wang skirt is. Very chic! 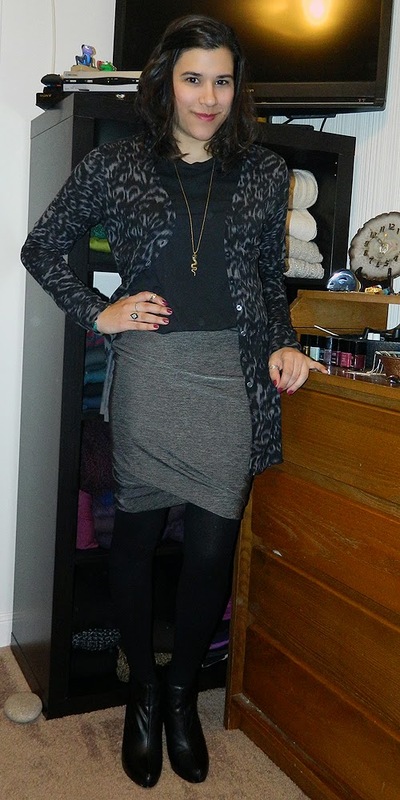 I love that Alexander Wang skirt! 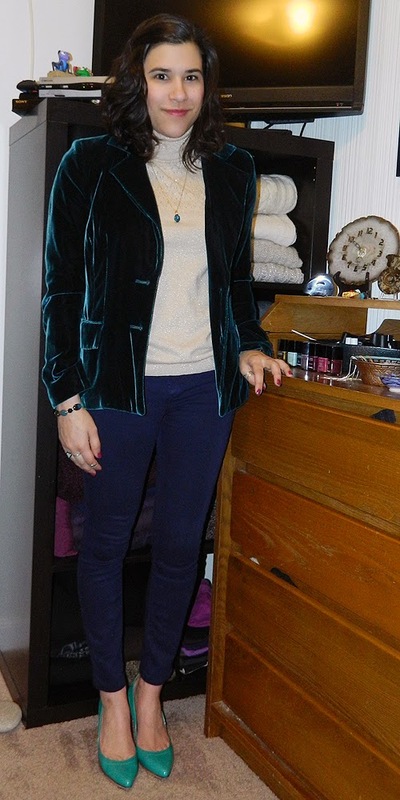 i am in love with that velvet blazer! such a perfect emerald green color! love the bright shoes from the first look.